with Reserved Font Name “ArbutusSlab”. 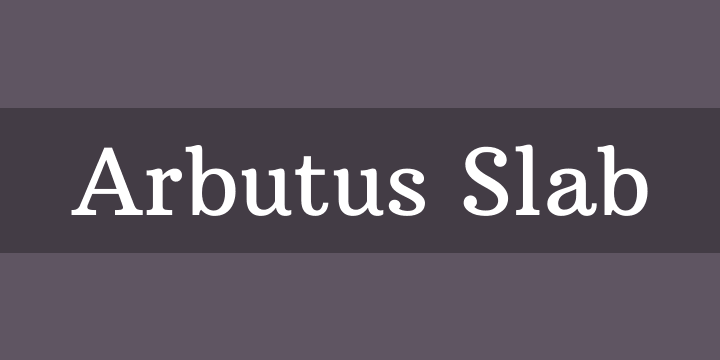 Arbutus Slab is a sturdy, medium contrast, slab serif typeface inspired by 18th and 19th American jobbing type. The generous spacing found in this design means that it can be used at fairly small sizes which makes it surprisingly versatile.